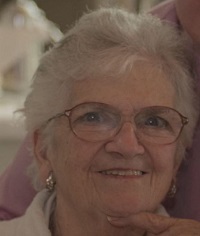 Wareham-Patricia A. Smead, "Pat", 81, of Wareham, passed away on Sunday, October 14, 2018 at Alden Court Nursing Facility in Fairhaven, surrounded by her loving family. Pat was the wife of 58 years to the late Kenneth R. "Bob" Smead. Mrs. Smead was born on Feb. 24, 1937 the daughter of the late Stephen and Ellen (Hardcastle) Mullen. Pat graduated from the Immaculate Conception High School in Revere. She enjoyed her family, baking and spending time with friends. She was the loving mother of Michael Smead and his wife Diane of Marion. Daniel Smead and his wife Joanne of Dartmouth, Thomas Smead and his wife Elizabeth of Wareham, Neil Smead and his wife Sherrie of Wareham and the late Patricia Smead. She was also survived by 14 grandchildren, the Late Robert Allen Smead and Marcus Smead and 9 great grandchildren. She was the sister of Mary Hayes of Charlestown and the late Kathleen Keefe. She was also survived by many loving relatives and friends.